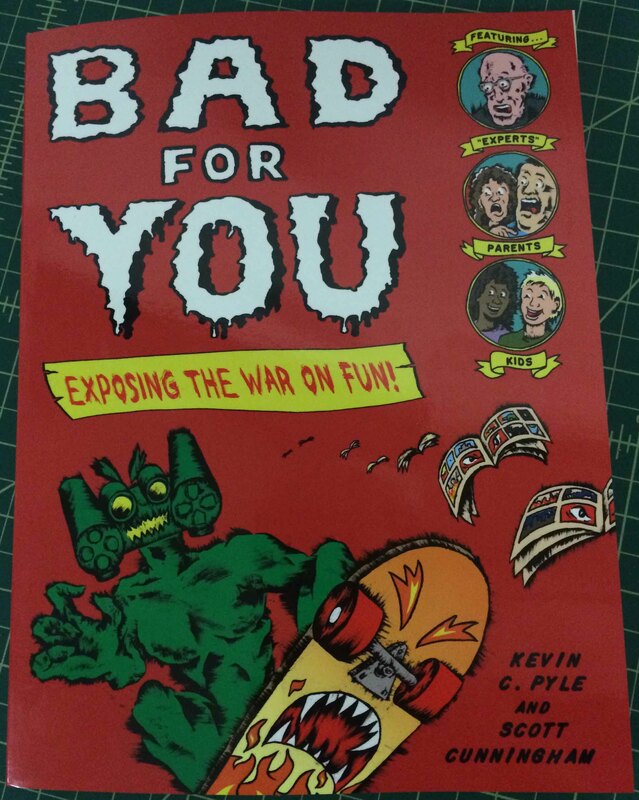 Bad For You: Exposing the War On Fun, is a new illustrated book by Kevin C. Pyle and Scott Cunningham. The book explores the world of over-protective parents, nanny-state bureaucrats, and do-goodery gone awry and the people making bucks off of a safety industry. 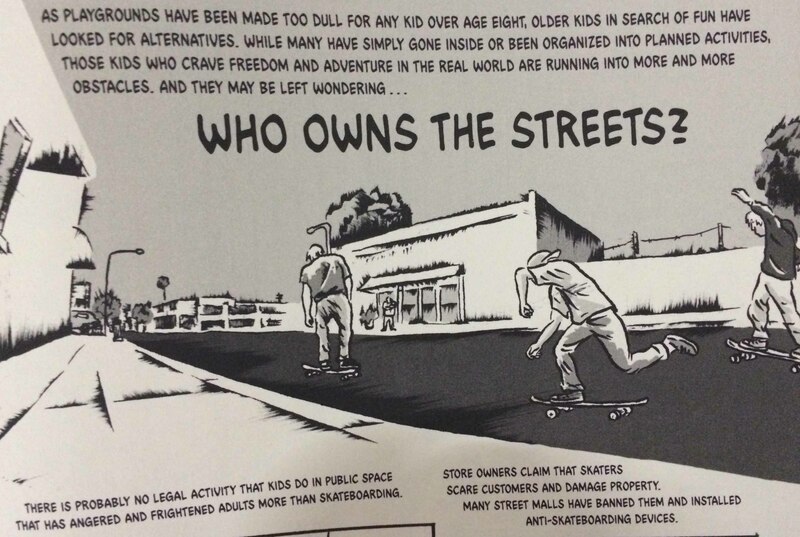 The title and cover practically scream out to any skateboarder (those of us that came up with no public skateparks) who has dealt with cops, security guards or over-zealous citizen. 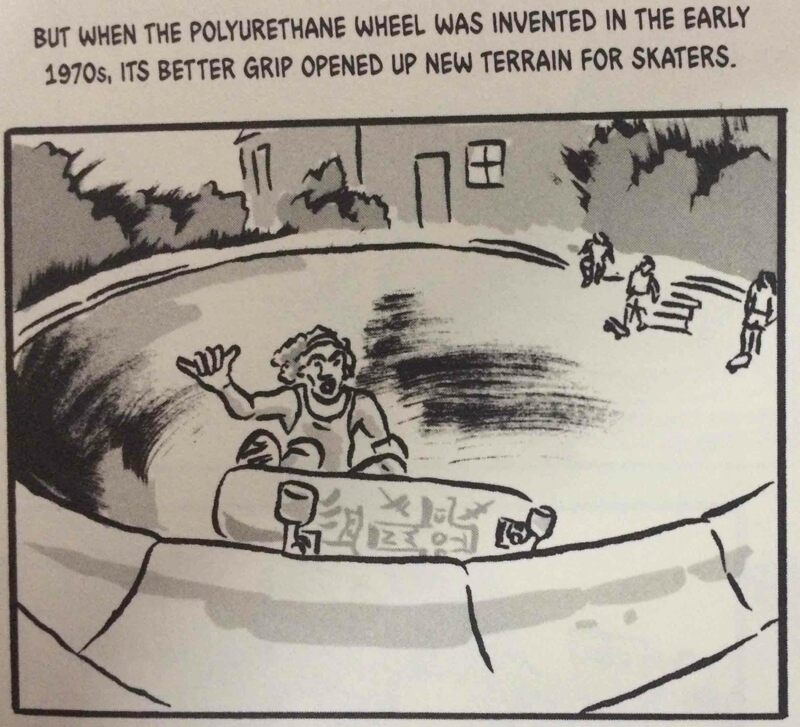 The book not only covers skateboarding, growing fears of new technologies, but goes in depth on subjects like Zero-Tolerance policies that have resulted in children’s suspension from elementary school for possession of nail clippers. Despite the comic-book style ( and a cover that nods to the pre comic-code age of Horror Comics) the book is filled with actual hard research; The type that has been debunking the anecdotal busy bodies ruining our fun for decades millennia. Interesting factoid from the book and on BoingBoing’s site, The “Techno-Panic” timeline, which includes Plato’s (360 B.C.E) fear that the written word will wreak havoc on the youths ability to commit history through the oral tradition. haha oral. Check out the BadForYou blog too!